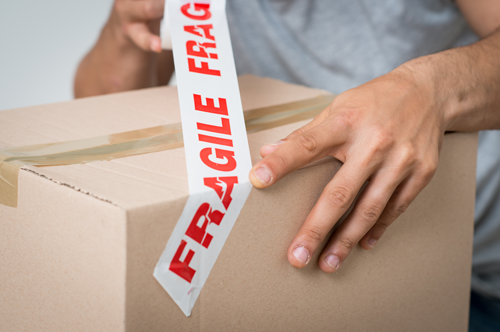 While shipping items securely is always important, it’s especially crucial for antiques and collectibles, which tend to be unique pieces that can’t be easily replaced if damaged during transit. At 1 Stop Pack N Ship, we specialize in delivering high quality antiques from coast to coast. There are three major steps that an antique owner should take when they need to ship their antiques, whether they are priceless or just worn family heirlooms. Whether you are looking for antiques shipping dc, antiques shipping va, or antiques shipping md, 1 Stop Pack N Ship is your 1 Stop Antiques Shipping Destination. The first step in planning to ship antiques is to know the specifics of the item being shipped. Ensure you know the exact dimensions of the item. If you are working with an antiques dealer or business, ask them. They work with these types of items day in and day out, and they can often assist you in understanding the shipping requirements your item will need. At 1 Stop Pack N Ship, we know our antiques, and we can also assist you in understanding the shipping requirements your item will need. Also have an understanding of the value of your antique. Get a professional appraisal on the antique if you don’t already have one to ensure the accurate value of the item. It is always important to ensure that you ensure the items you are shipping. The appraisal will help you identify the amount of insurance to purchase. Check with the insurance company. There are often a variety of insurance plans available to the antique owner, also check out dealer insurance or automotive insurance if you are shipping an automobile. You may be able to draft a addition to your homeowners policy to ensure your antiques. Ensure that your shipping company is choosing the appropriate shipping container for the type of item. Placing a necklace loose in an oversized container can cause the necklace to become tangled. Packing a delicate antique into a box with minimal padding will not protect that antique from being crushed if a heavier item is placed on top of it. At 1 Stop Pack N Ship, not only will we take care to ensure that your valuable is packed with the appropriate protection, but we also have the experience to pack a moving truck to prevent item damage. Don’t risk your valuables to just any shipping company, trust 1 Stop Pack N Ship.